NBK Ceramic offers suspended façade construction that is ventilated at the rear. The innovative quality system TERRART is an ideal product for the rehabilitation and restoration of old building facades and the construction of new buildings and exceeds all the requirements of modern buildings. 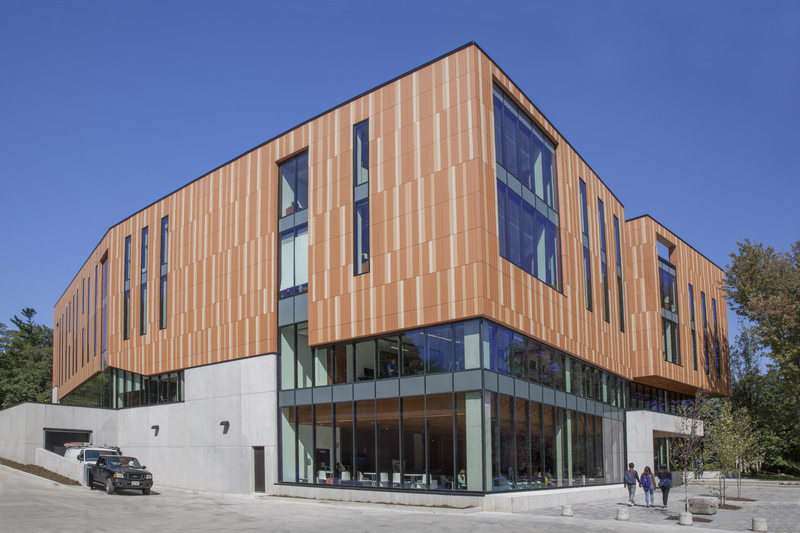 Composed of terracotta clay tiles and based on the rain screen principle, this façade system is custom designed and engineered to suit specifications. NBK Ceramic's products are frost resistant, uv-resistant, fire and waterproof, composed of recycled content and are 100% recyclable. Available in a multitude of finishes, colours, sizes and profiles. Deerfield Hall, University of Toronto - Mississauga Campus. Architect: Perkins Will. Photogrpahy: Lisa Logan. BSU Hamburg. Architect: Sauerbruch Hutton Architects. John Hopkins University, Gilman Hall. Architect: Kliment Halstand Architects. 901 K Street. Architect: Smith Group.